In North Tamborine, turn off “Main Western Road” into “Main Street”, continue past the shops and the residential area where it becomes “Knoll Road”. 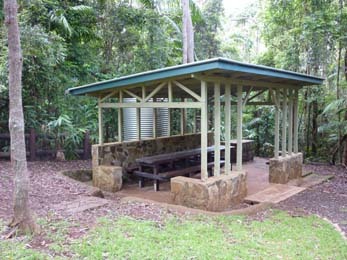 “The Knoll” picnic area and lookout is one of the many hidden treasures on Tamborine Mountain. 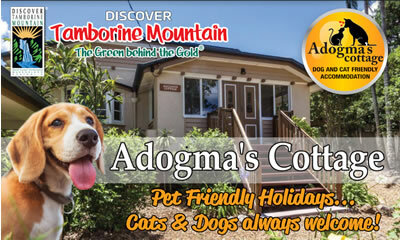 The grounds are well kept; the shady grass area is quite large and offers breathtaking views inland. Plenty of parking, ease of access and all facilities make “The Knoll” an ideal spot for a picnic lunch or a BBQ. “It’s hard to resist – but do not feed the birds! 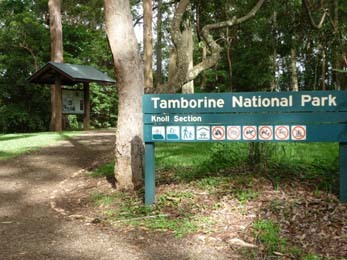 This entry was posted in Tamborine National Park and tagged BBQ, Picnic Area, Tamborine Mountain, The Knoll on January 1, 2013 by Detlef.